Every year Mercantile Bank Limited scholarships to the meritorious students in need of financial aid studying at different levels of education since its beginning. Every year Mercantile Bank Limited awards new scholarships every year along with renewal of existing awardees. Interested students may apply from 12 February, 2018. Application will be end on 31 March, 2018. 3. Application deadline: 31 March, 2018. 5. Scholarship Expiration: 1 (one) year. 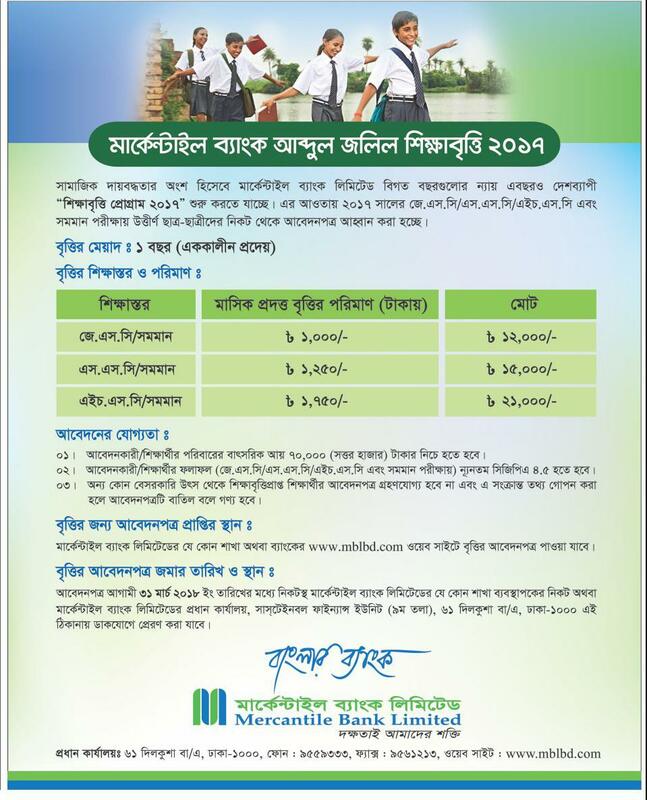 Tags: www.mblbd.com, www mblbd com, Mercantile Bank Abdul Zalil Scholarship scholarship form, Mercantile Bank Abdul Zalil Scholarship ssc scholarship 2017, Mercantile Bank Abdul Zalil Scholarship 2017 primary selected list,Mercantile Bank Abdul Zalil Scholarship scholarship. 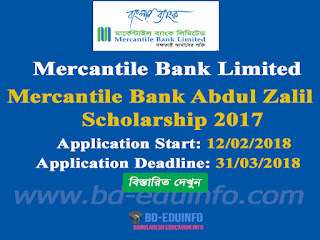 Mercantile Bank Abdul Zalil Scholarship result 2017.
www.mblbd.com, www mblbd com, Mercantile Bank Abdul Zalil Scholarship scholarship form, Mercantile Bank Abdul Zalil Scholarship ssc scholarship 2017, Mercantile Bank Abdul Zalil Scholarship 2017 primary selected list,Mercantile Bank Abdul Zalil Scholarship scholarship. 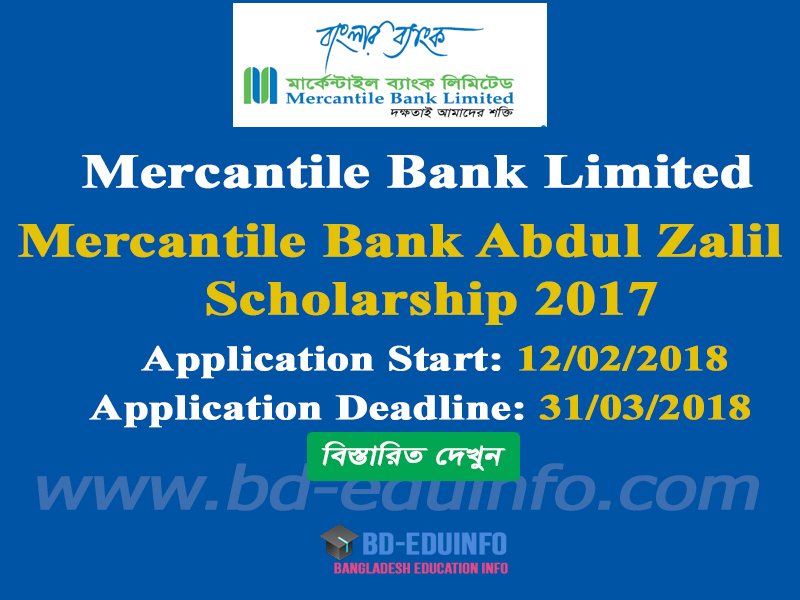 Mercantile Bank Abdul Zalil Scholarship result 2017.